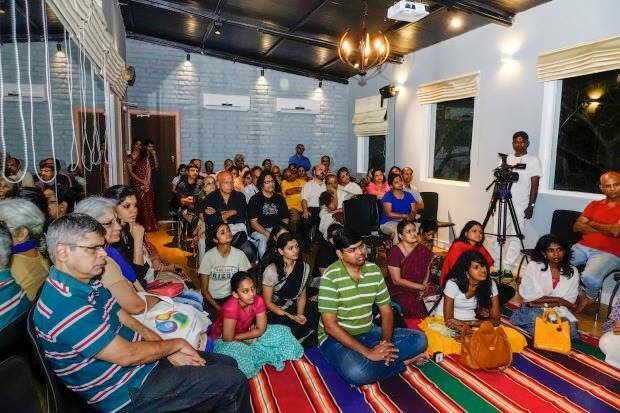 Wandering Artist is an arts and cultural space in R.A.Puram that offers adults and young people arts experiences that allow them to learn, experiment, express and be entertained. AVIS leaned on Osho to sum up his experience of speaking to and learning from, Ramanan: "A spiritual person is one whose Life is a work of art; there is a deep harmony between mind, body and consciousness; their Life is a joy to witness - it is fragrant, it is beautiful!" 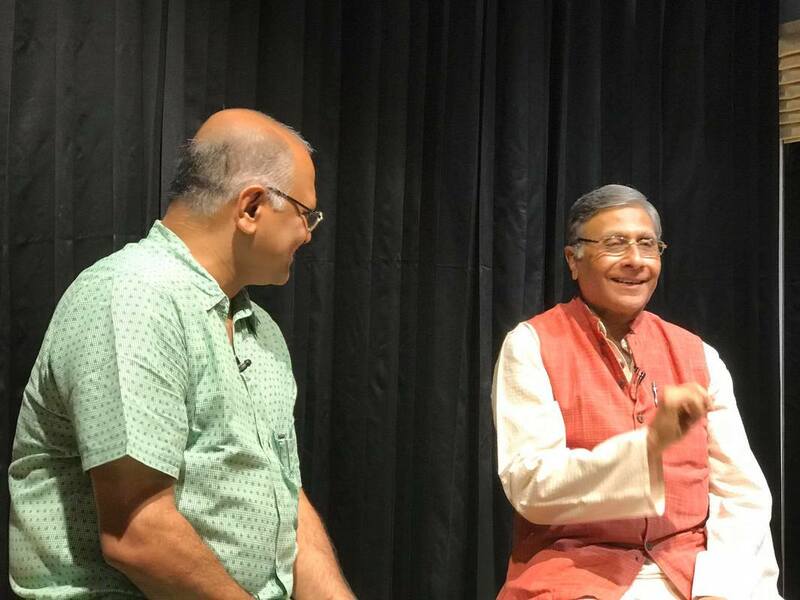 It was a brilliant conversation with Ramanan breaking off into song and verse at times...with AVIS sharing notes, or taking away learnings...everyone who was there went fulfilled, deeply touched and awakened...the rest can catch the YouTube link on this page. Most people may be pinned down when a serious health challenge strikes. Not Srekala though. She not only faced Life squarely, she learnt to live it fully, happily, immersing herself in dance. 34 years on, Srekala does not see dance as just an art form; to her, it is an offering to the divine - an endless thanksgiving for who she is. 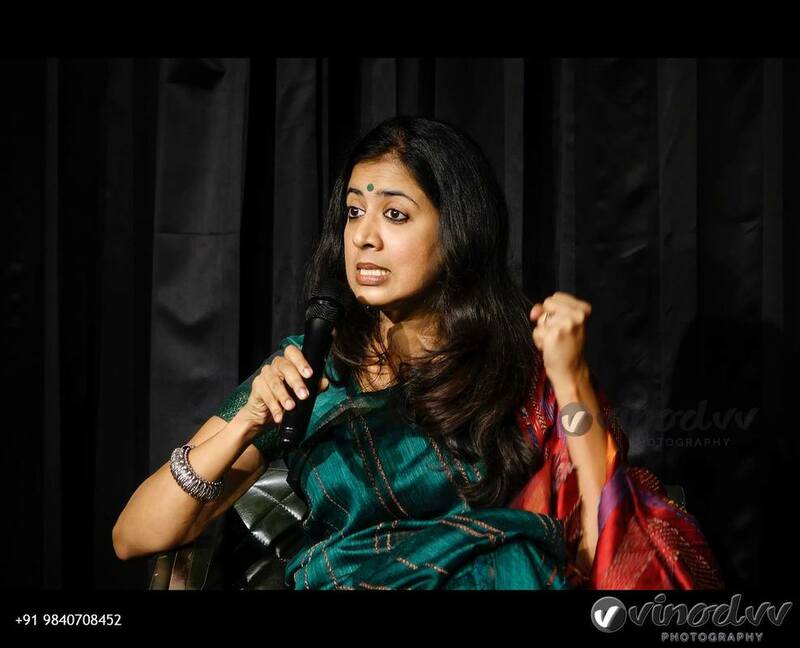 Come, join us as Srekala talks about what moves her, enriches her and helps her share and give. It was an outstanding Edition of The Artist's Soul at Wandering Artist! It was a full, over-flowing, house! 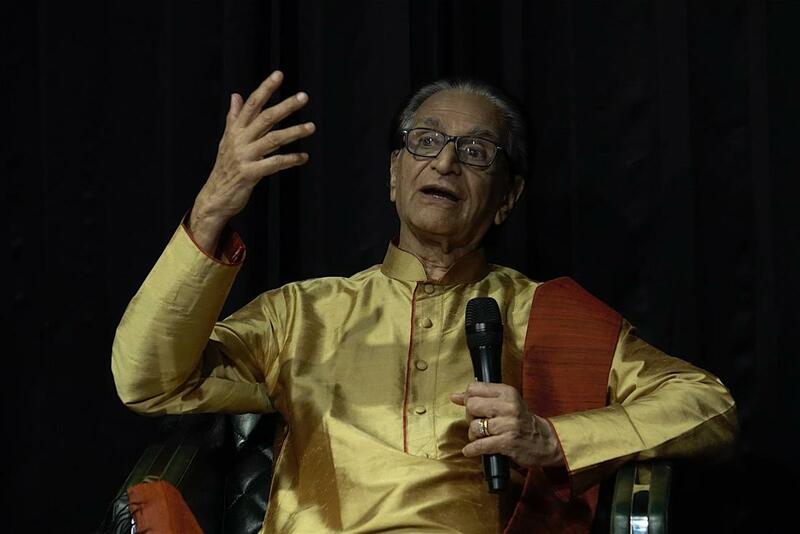 Shekar Dattatri was eloquent, genuine, evocative with all that he shared - every member of the audience took away a personal learning! 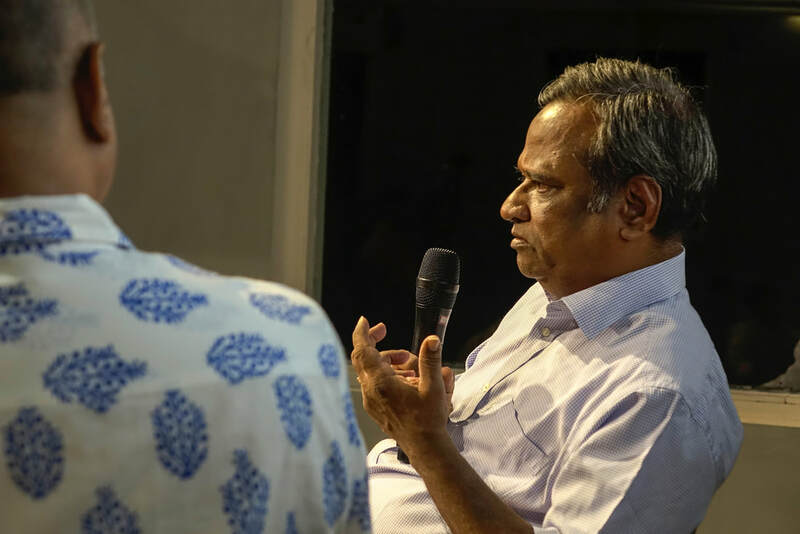 AVIS felt particularly blessed that he had the opportunity to draw the usually reclusive Shekar to talk about the "making of the conservation champion" that he is today! He refused to accept that he was the rockstar of wildlife and conservation awareness film-making, saying those are "AVIS' words". Instead he preferred being called someone "who is cause-driven and who is in pursuit of excellence in whatever he does". People like Shekar are rare to come by these days. He's been following his bliss for over four decades now. And in the last 18+ years he's stopped working for TV - a medium that was personally very rewarding for him. He now makes films only for a cause. He says rewards and recognition don't matter to him any more. What matters to him is that his work must help those who are trying to make our world a better place. AVIS leaned, yet again, on Rumi's words to sum up the conversation : "In a night full of pain and darkness, be a candle spreading light until dawn!" That's what Shekar's doing...he's that candle spreading light with his work, even if the world mindlessly edges perilously close to self-destruction in the name of economics and development! 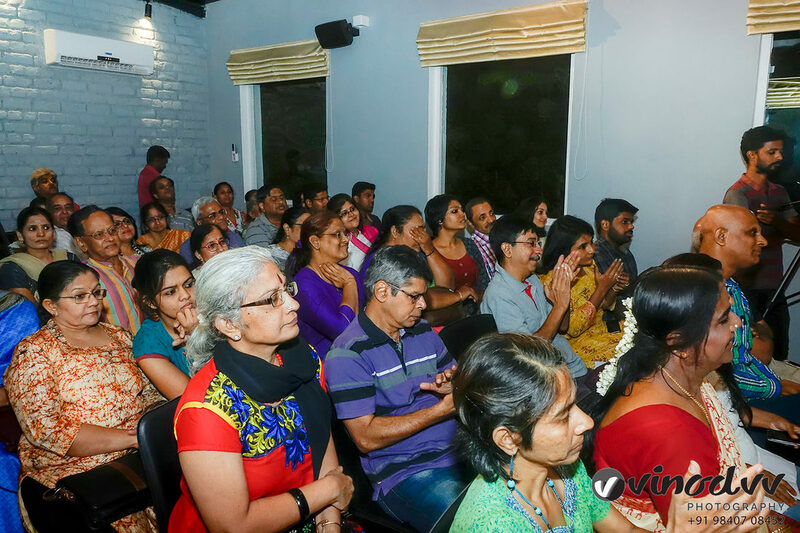 In the 15th Edition of The Artist's Soul on Saturday, April 21st with T M Karthik 'The Artist's Soul' Series at Wandering Artist, Karthik shared with us why happiness matters most to him! His memory of performing to just one person in the audience in UK was truly awakening. Equally powerful was his take on what must make parents proud - their child being happy or their child being successful materially? 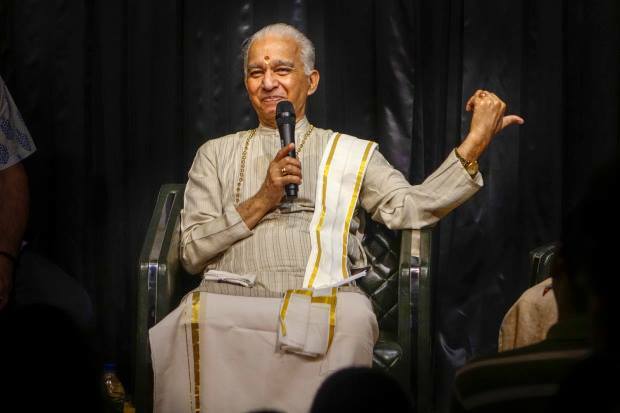 At times humorous, at times deeply reflective and at some other points spiritual, Karthik's insights and perspectives were remarkably original and from the heart. 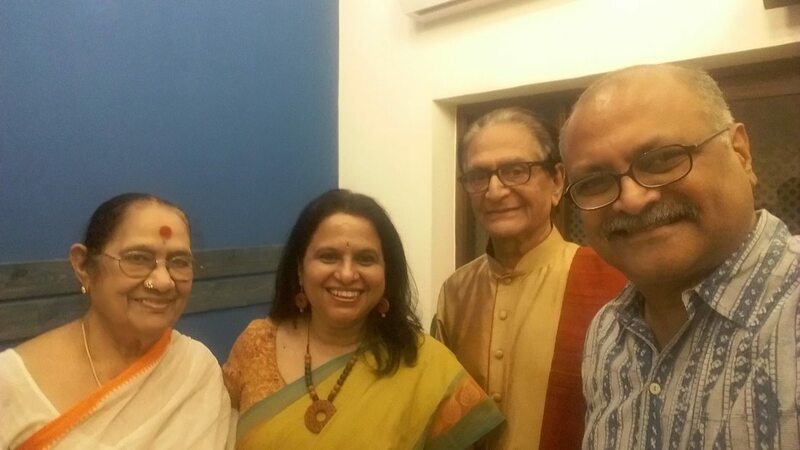 Curating and hosting the 14th Edition of The Artist's Soul on Saturday, March 10 with Timeri Murari was a privilege. He talked about his early influences. It was a revelation that up until his late teens/early 20s, the only writing that Tim did was he wrote "love letters" that he says "did not yield much results"! We talked about the themes of love and relationships that he has often explored in his books. He shared insights on where his inspirations came from - for ideas that became books and for the characters that come alive in them. He spoke about being honest in writing and believing in your work. He talked about his views on destiny, religion, God and spirituality while refering to (non-fiction/true-story) works of his - 'My Temporary Son' and 'Limping to the Centre of the World'. His take on happiness - "be(ing) content with what is". 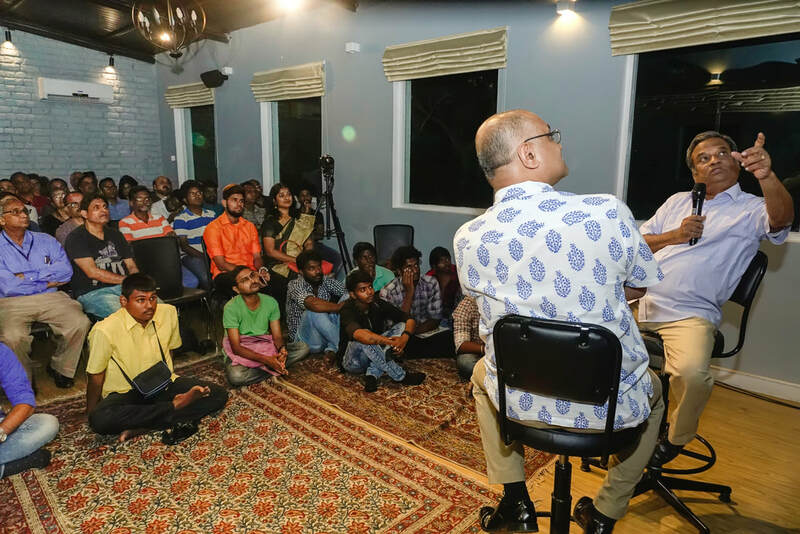 At the 13th Edition of The Artist's Soul on Saturday, February 10, 2018, it was a beautiful and endearing conversation. 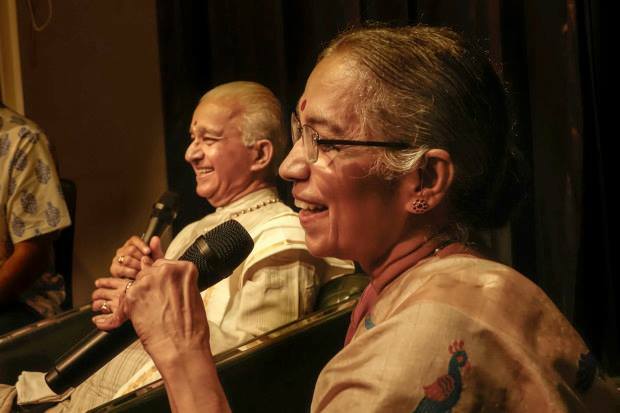 Swarnamalya's simplicity, honesty, devotion for her Guru KJ Sarasa, her inner strength in facing Life's upheavals stoically, her thirst for learning and her love for Life - all these stood out. 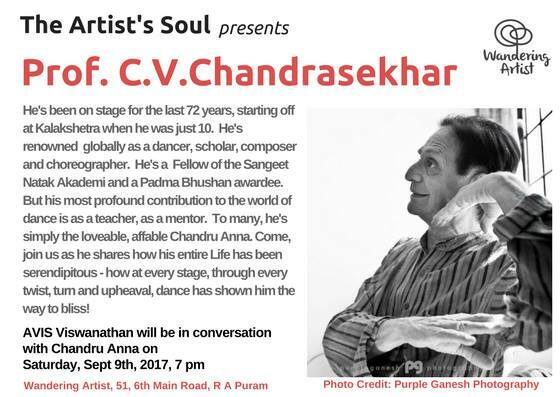 The Big B Special at "The Artist's Soul"
As the Big B's Big 'devotee', AVIS pays a personal tribute and explore the man behind the Superstar. What makes Amitabh Bachchan still stay relevant, across generations; what can we learn from him, from his upheavals and from his ability to stay grounded despite all his achievements? There was great music and super hit dialogues from his films on show too - and also a rare, soul-baring, inspiring interview with him! 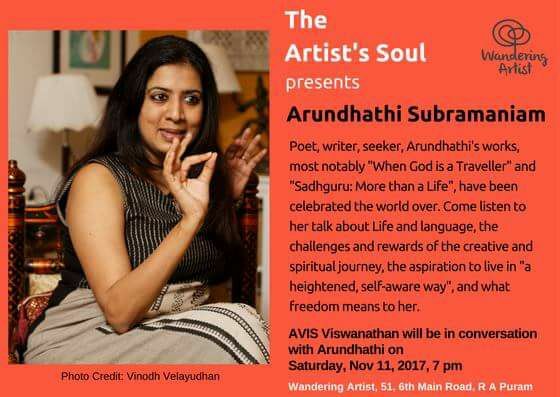 The November edition of "The Artist's Soul", featured Arundhathi Subramniam, poet, writer and seeker at The Wandering Artist! 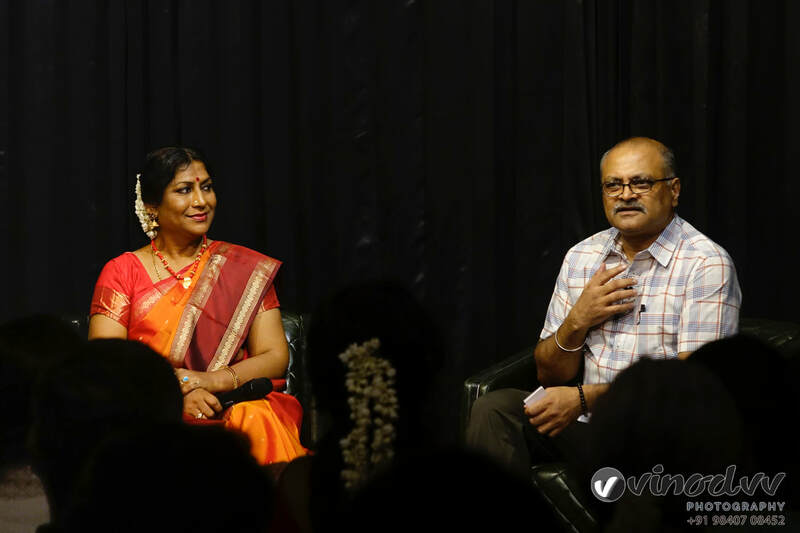 According to Arundhathi, Poetry is "verbal choreography". It is "molten". "Magma". "Patterned language." "Connected language." "Kinetic language." Her mesmerising and melodious words painted vivid pictures that she held the audience spell-bound. 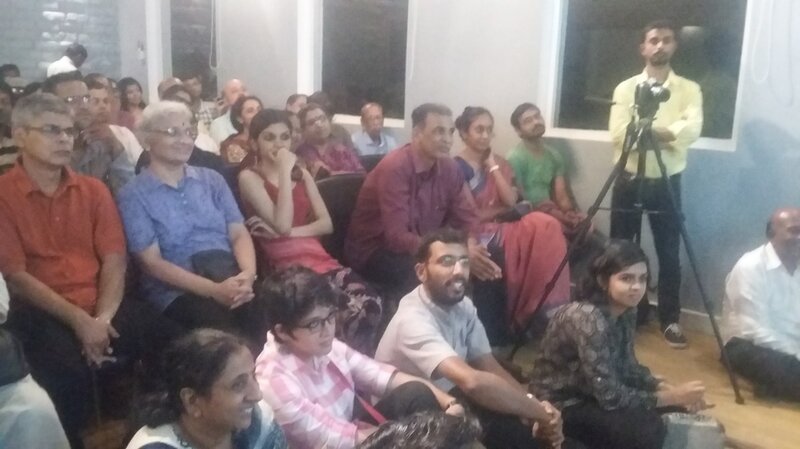 AVIS: I immensely enjoyed curating and being in conversation with Arundathi Subramaniam - who, to me, expanding on Osho's view of poetry being miracle, is a poet-miracle! 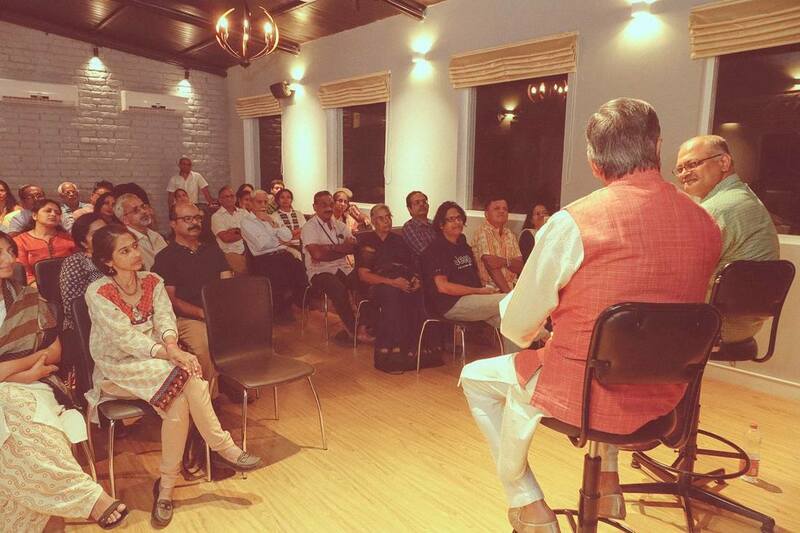 It was a truly unputdownable evening, an authentic conversation and a great, inspired audience! Victor Paulraj "I don't plan anything. I have had no ambitions. Things have been happening, good things, and I have been going along with them, with Life...why tinker with anything that's working well, going well?" AVIS, quoting Rumi, and summing up Victor's journey: "When you do things from the soul, you feel a river moving in you, a joy! 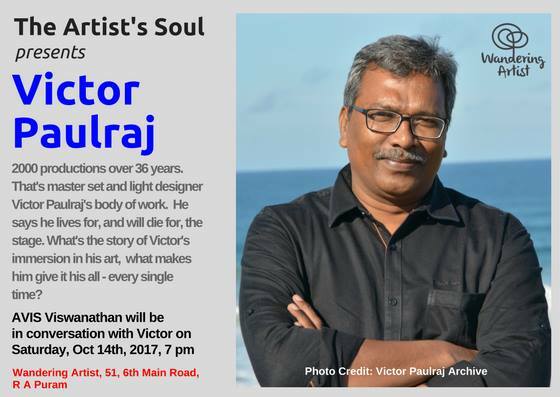 "...Victor's blessed to have learnt the art of going with the flow, intuitively...a la Gulzar-Kishore-da-RD Burman's: "Musafir Hoon Yaroon...Bas Chalte Jaana Hai...!" 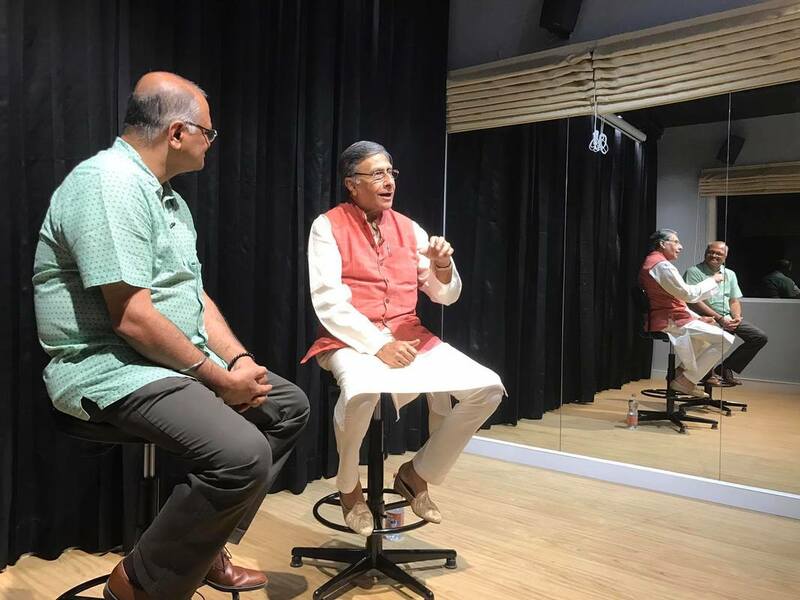 He spoke about his abundant gratitude to his Alma Mater, Kalakshetra, Rukmini Devi Arundale and other Teachers, his Integrity in not competing with a friend. 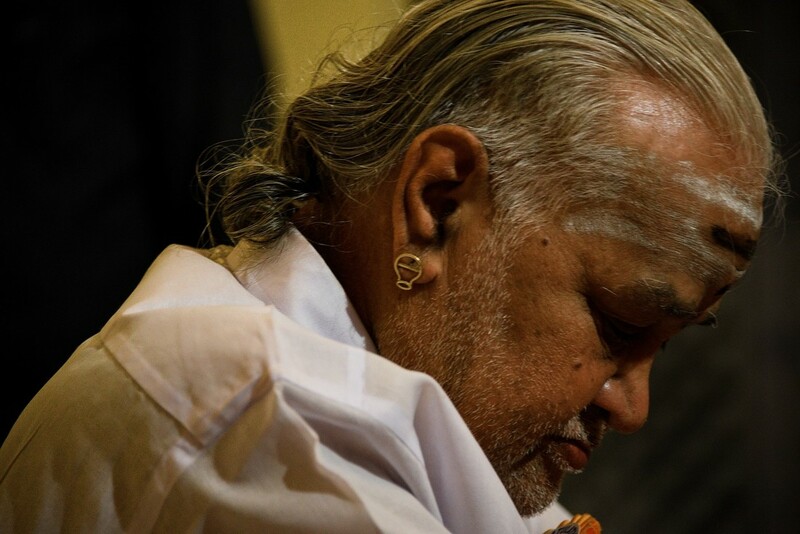 The audience was amazed at his humility and amazing grace, his willingness to learn from all possible sources, his ability to innovate in dance without straying too far from the traditional art form, his sagacious thoughts on avoiding unnecessary conflicts which only leave bitterness, his enduring love for Mother Nature, the importance of self-discipline. 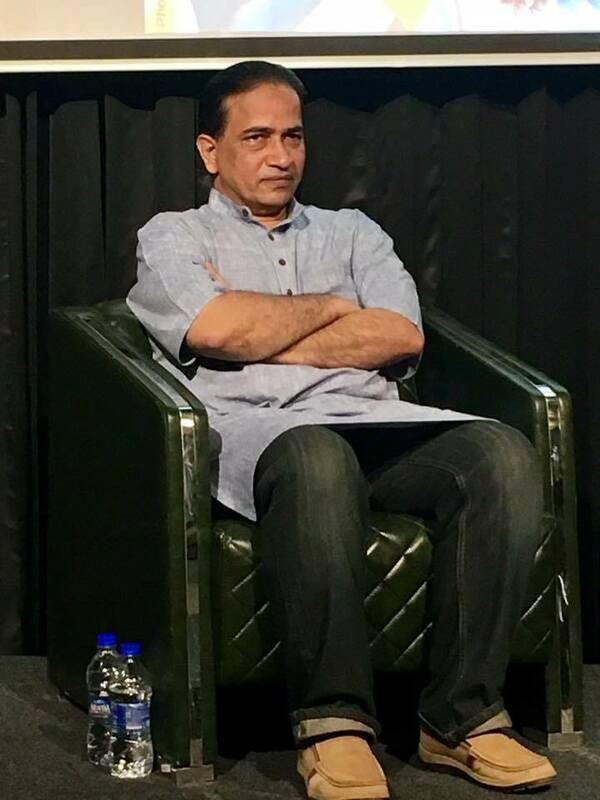 His sparkling humour kept the audience totally engaged. The takeaways: Humility and grace, going with the flow, choosing to never do what you don't want to do or don't believe in, absolute immersion in the art you practice....these, and nothing else, lead to excellence, greatness, longevity (he continues to dance/perform at 82) relevance and brillance!AVIS quoted Rumi: "It is only from the heart that you can touch the sky!" 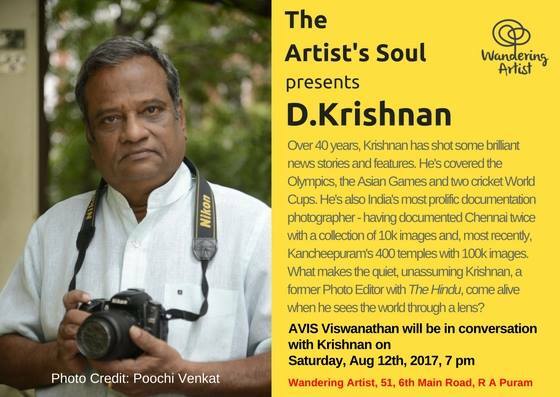 The August edition of "The Artist's Soul", featured Ace news and documentation photographer, D.Krishnan! 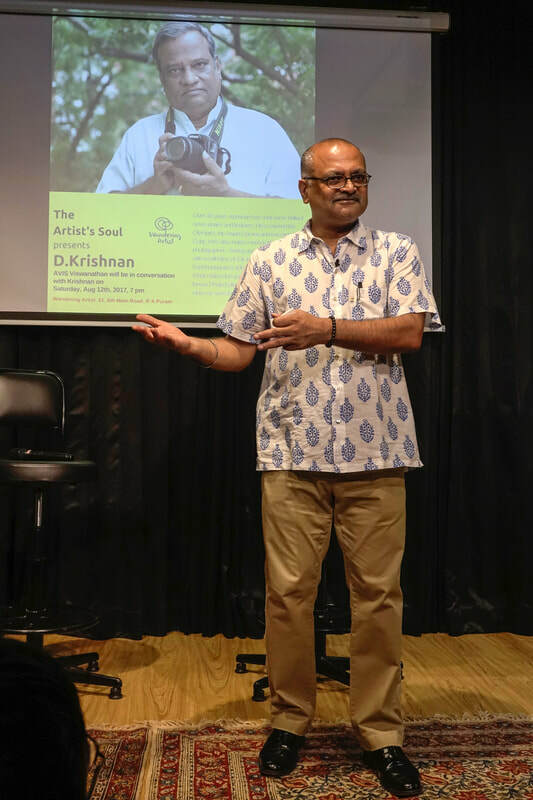 Krishnan regaled us with great insights and interesting anecdotes from his 40-year journey as a photographer. In summary, I shared a quote whose source is unknown: "You don't take a photograph, you ask to borrow a moment from time, from Life!" And that's what Krishnan's career has been all about! I simply loved his take that photography is first about intuition and only then about impulse. His work ethic, his planning and his sense of what his subject may next do were so evident in each of the stories he shared. 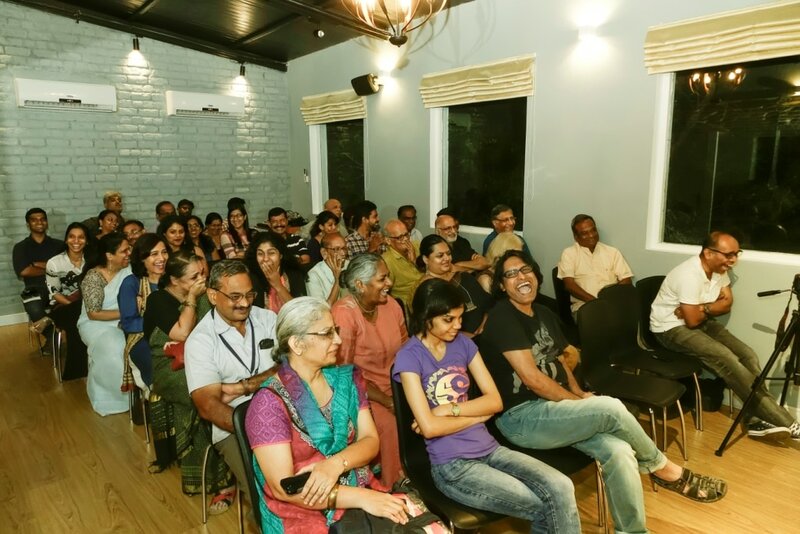 Surely, photography enthusiasts in the audience took away a lot! 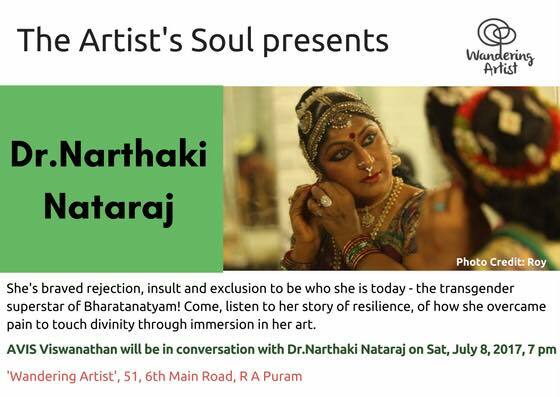 The July edition of "The Artist's Soul", featured the transgender superstar of Bharatanatyam, Dr.Narthaki Natraj! The conversation was soulful, sublime and beautiful. Her take on Life, on bliss, on her dance and her femininity are a must-listen. Narthaki's attitude to Life perfectly fits Rumi's verse: "The ground's generosity takes our compost and grows beauty. Try to be more like the ground." She's taken rejection, insult and pain in her stride to give us the joy and beauty of her Life, her art, her soul! 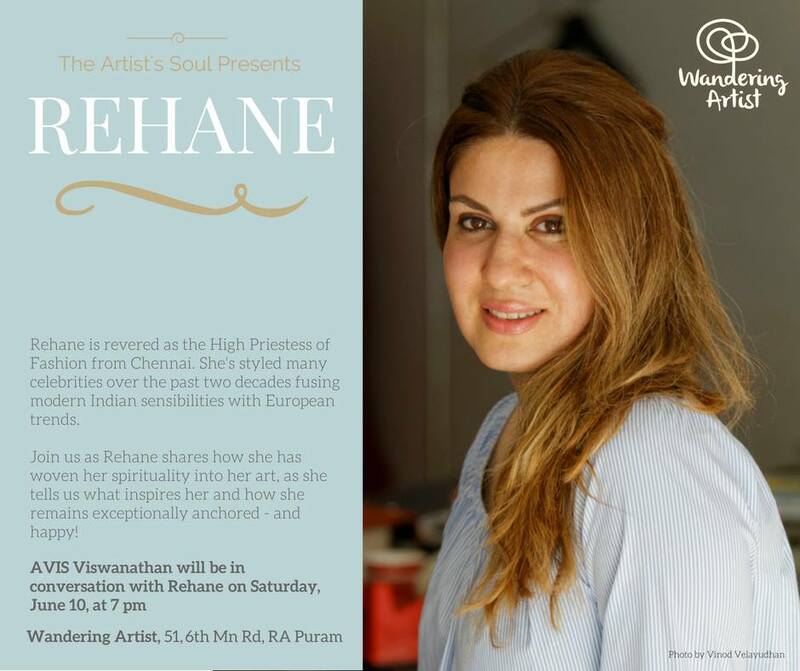 The June edition of "The Artist's Soul", featured the accomplished Fashion Designer Rehane. 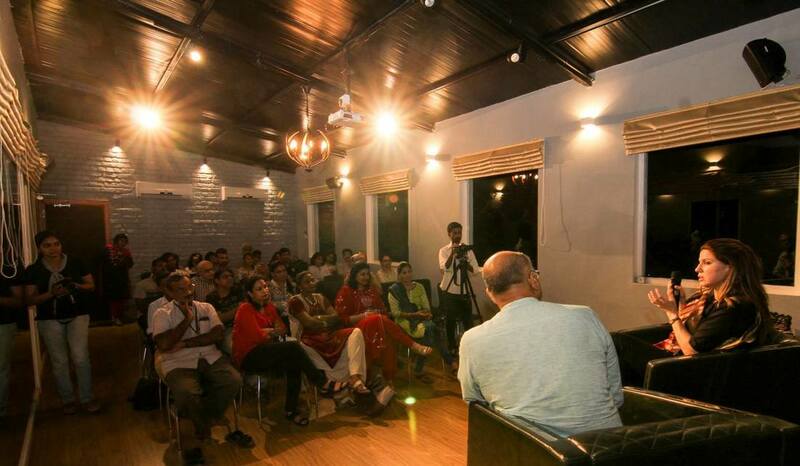 It was an interesting conversation at The Wandering Artist in "The Artist's Soul" Series. Rehane and AVIS talked about her journey as a fashion designer, about Life, pain, happiness, loss, compassion, empathy, staying relevant to oneself. 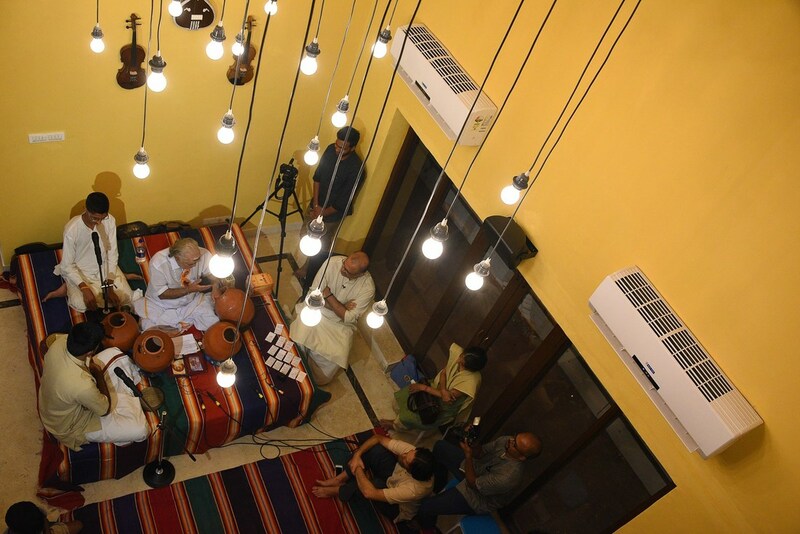 There was Rumi too and AVIS ended the evening aptly with his lines: 'When you do something from your soul, you feel a river moving in you, a joy! ".This joy contributes immensely to Rehane's inner glow, to her art! 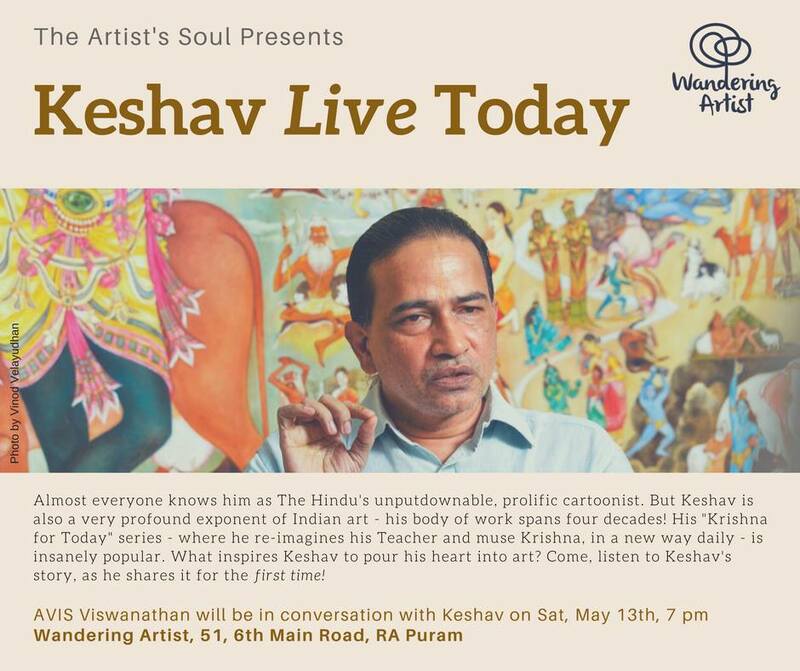 The May edition of "The Artist's Soul", featured the iconic artist and cartoonist Keshav. 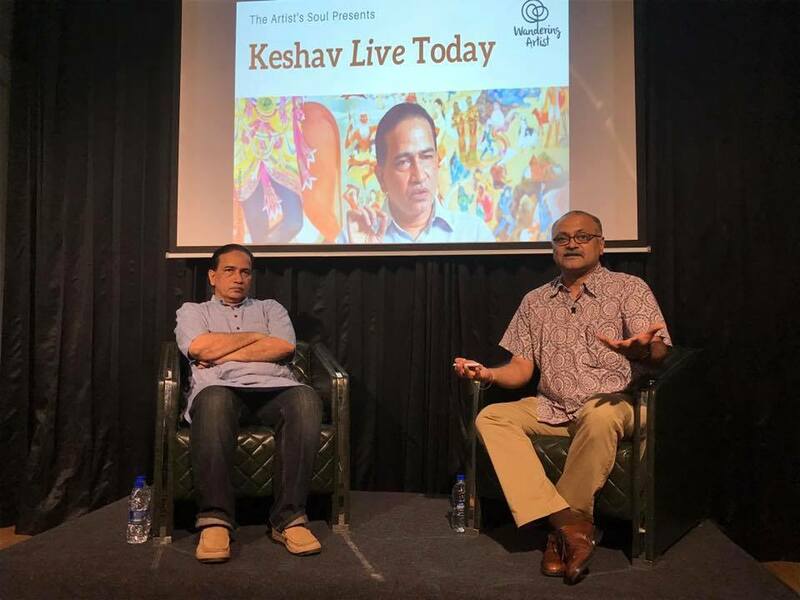 That sums up the essence, the energy, the spirit and the learning in this conversation with iconic artist and cartoonist Keshav in The Artist's Soul Series that Vaani and AVIS curate for Wandering Artist on the second Saturday of every month. 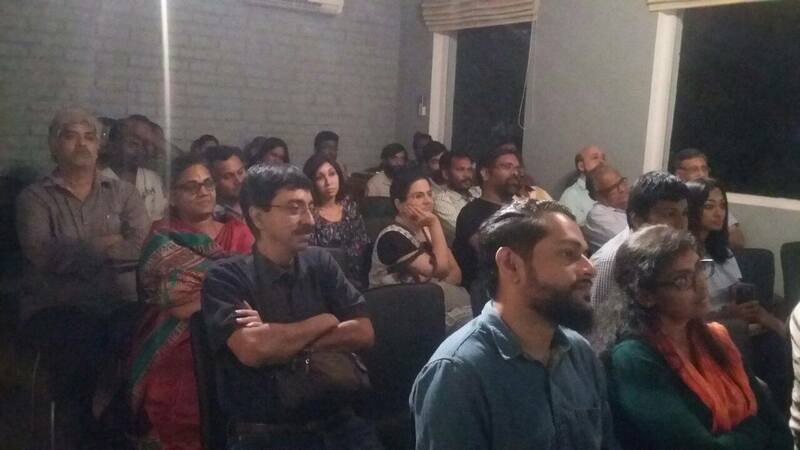 It was a packed house, overflowing, in fact. And everyone left inspired, happier, fulfilled. 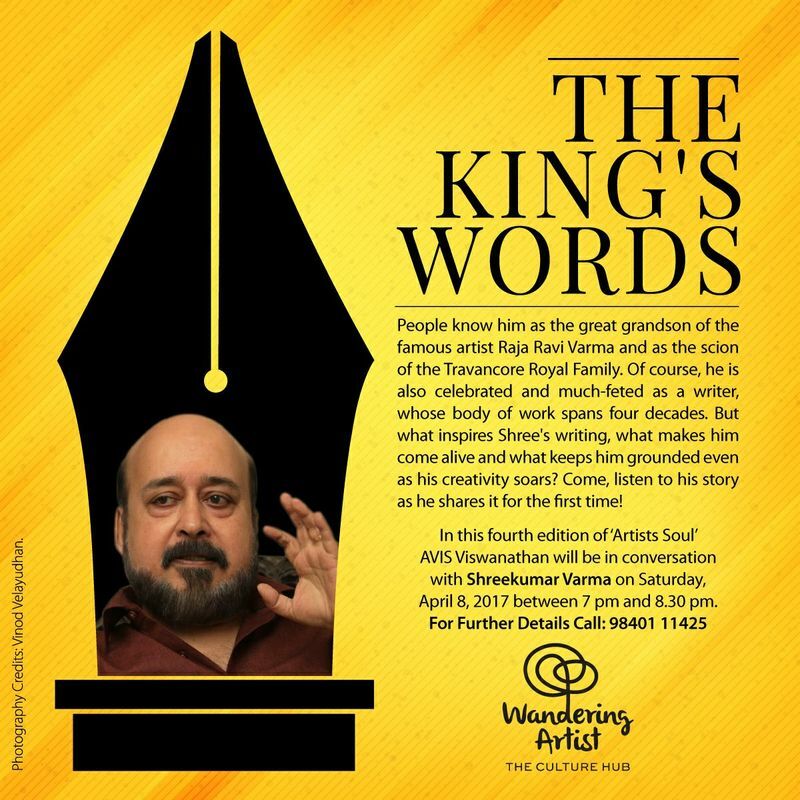 The April edition of "The Artist's Soul", featured the writer and poet Shreekumar Varma. 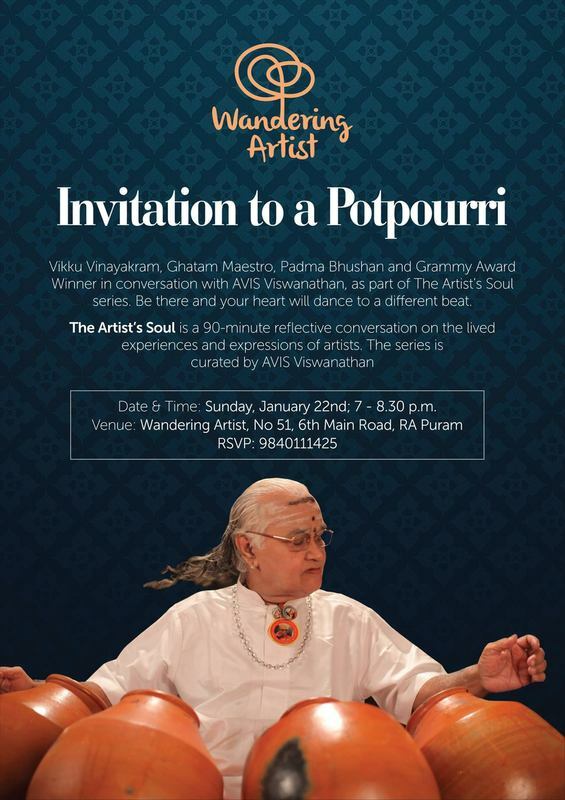 He is known as the great grandson of the famous artist Raja Ravi Varma and as the scion of the Travancore Royal Family. Of course, he is also celebrated and much-feted as a writer, whose body of work spans four decades. But what inspires Shree's writing, what makes him come alive and what keeps him grounded even as his creativity soars? 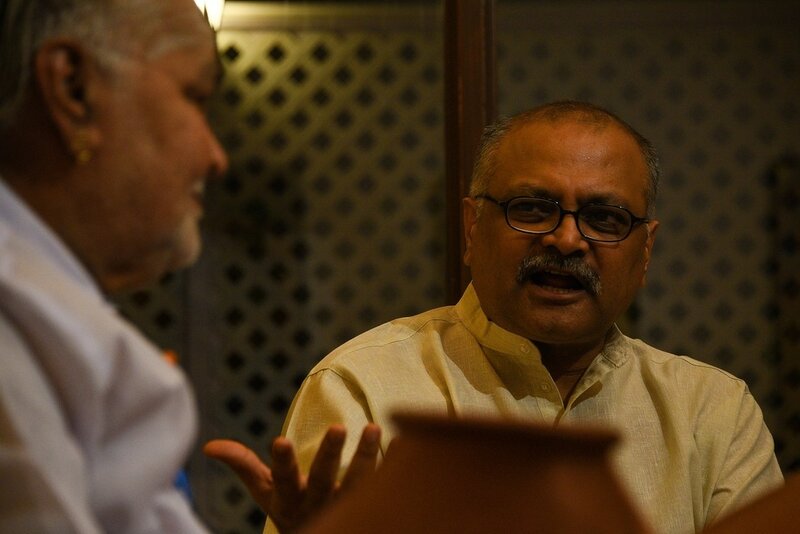 For the first time, Shreekumar Varma shared his personal story and what inspires him to write! It was a packed house at Wandering Artist! 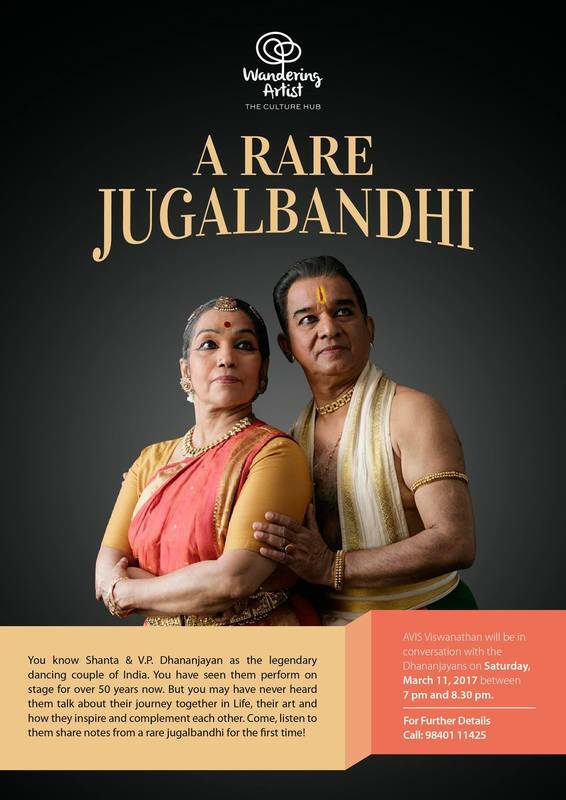 People know them as the legendary dancing couple of India. They may have seen them perform on stage for 65 years now. But they spoke to me about their journey together in Life, their art and how they inspire and complement each other. 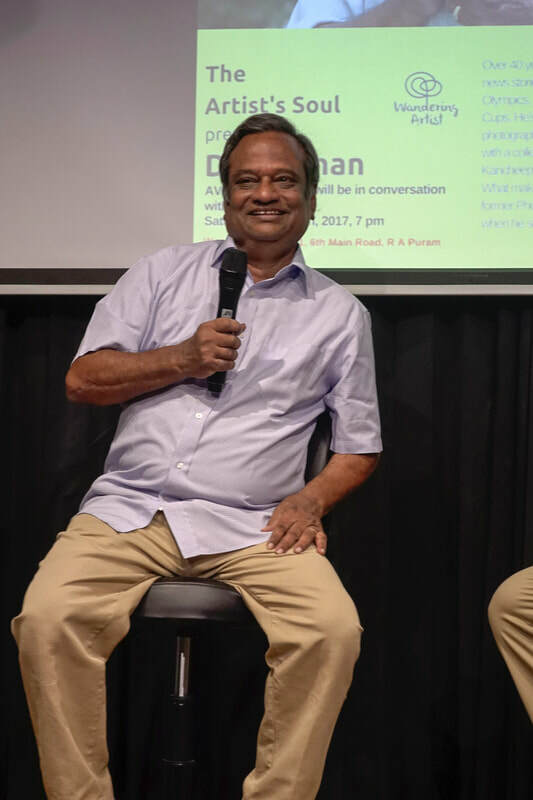 They talked about how they first met in 1953, when he was 14 and she was 10; Dhananjayan shared that moment when he almost left Kalakshetra to join the Indian Army in a bout of patriotism; the duo also shared how they divide the work between them and how it is important to accept Life for what it is to be happy. It was truly a blessing to be in conversation with them! 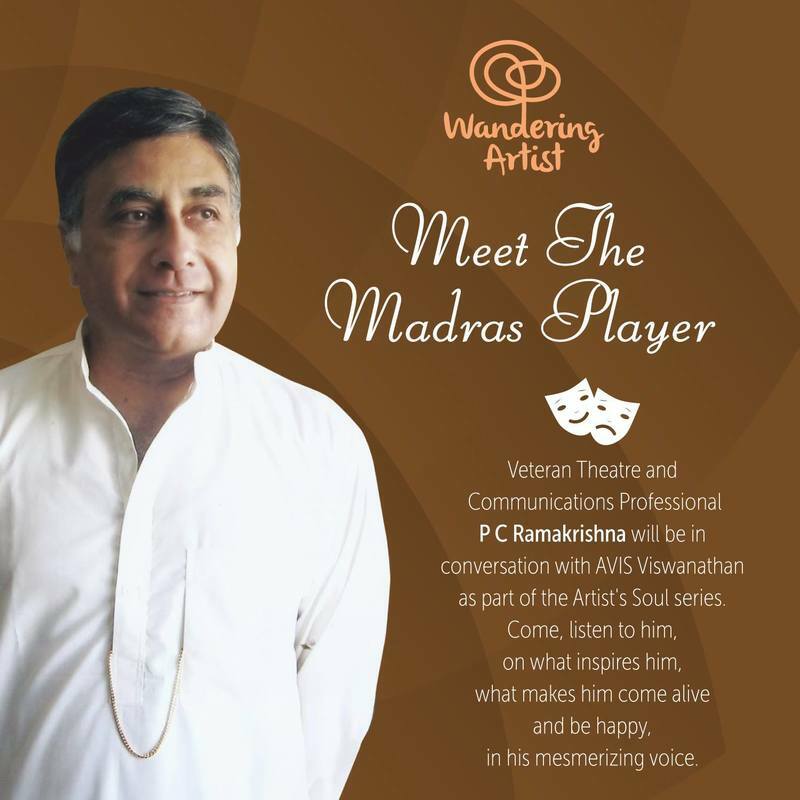 The second edition of "The Artist's Soul", featured Veteran Theatre and Communications Professional - P C Ramakrishna. 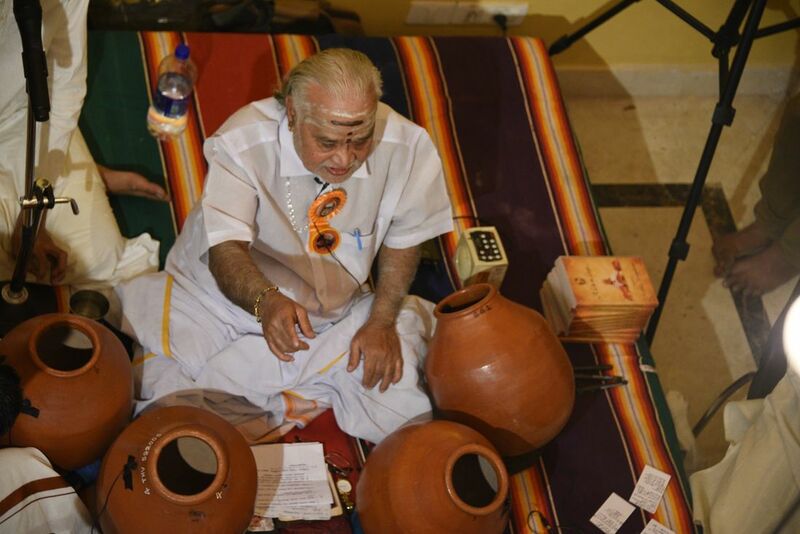 In the first edition of "The Artist's Soul", we featured Ghatam Maestro, Padma Bhushan and Grammy Award Winner - Vikku Vinayakram.